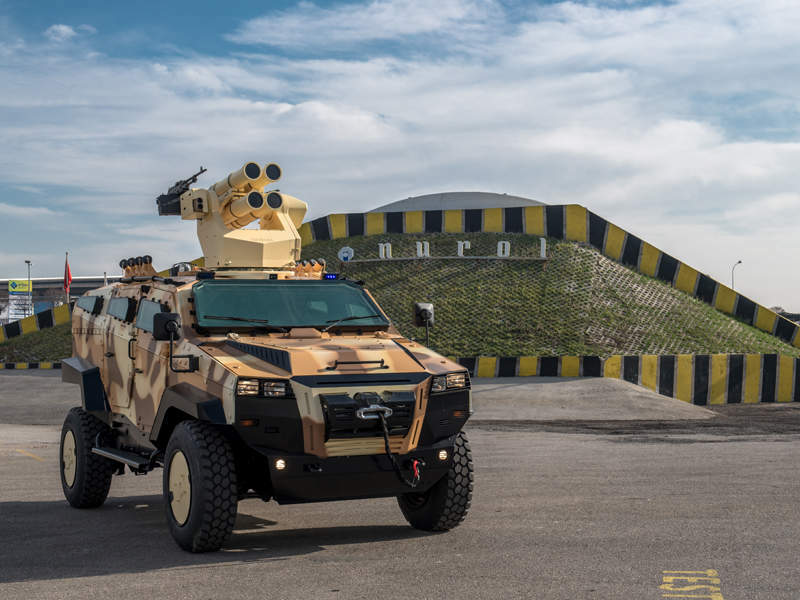 The pace car for the upcoming Taliban 500 will be the Turkish-built Nurol Makina NMS 4x4. HRH Prince Philip, Duke of Edinburgh has volunteered to drive the pace lap. Good thing they didn't put any seatbelts in that thing, HRH doesn't like to feel restricted. The missile tubes on the top look very much like those that house the things that I spent the last 8 years of my working life helping to develop a system that defeats them. If this guy is entered in the Taliban 500, no one else will have a chance.